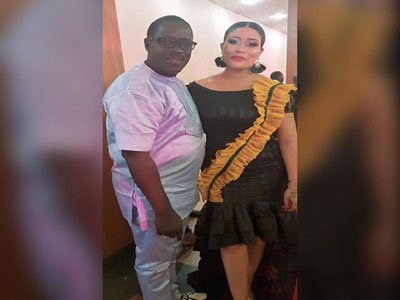 As one of the guests who graced Kemi Afolabi’s movie premiere and birthday celebration on Sunday at the Oriental Hotel, Victoria Island, Lagos, cross-over actress Adunni Ade narrated her meeting with Taiwo Hassan, known as Ogogo at the event. Adunni who was working in the Housing and Insurance sectors in the United States before switching to the entertainment industry was into fashion modelling, featuring in America’s Next Top Model. After moving back to Nigeria, she landed her first Nollywood role when she acted in the Yoruba language film “You or I” in 2013. She has also featured in several other Nollywood movies of both English and Yoruba languages, including some music videos.